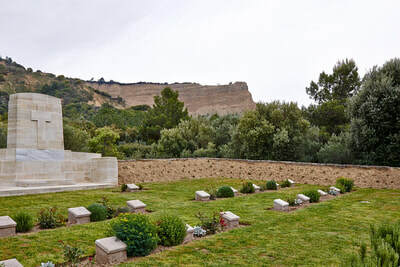 The Anzac and Suvla cemeteries are first signposted from the left hand junction of the Eceabat- Bigali road. From this junction travel into the main Anzac area. 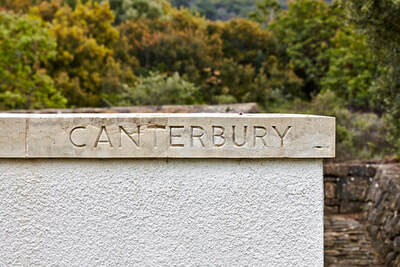 After 11.6kms Canterbury cemetery will be found on your right. 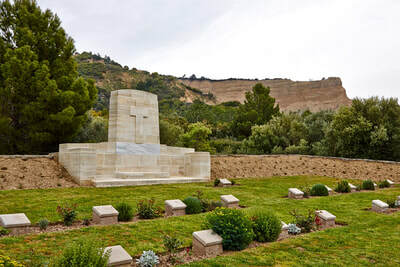 Canterbury Cemetery is one of the central cemeteries in Anzac and was made after the Armistice. 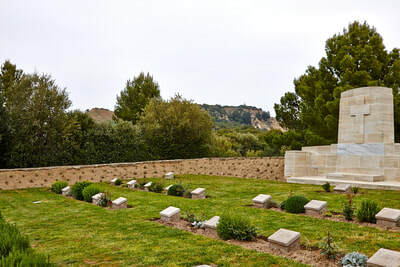 It contains the graves of 27 Commonwealth Servicemen of the First World War, five of them unidentified. 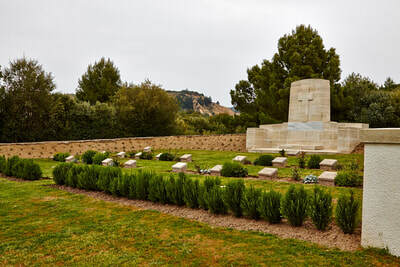 20 of the graves are of men of the New Zealand Mounted Rifles (mostly the Canterbury Mounted Rifles). 10th December 1915, aged 29. 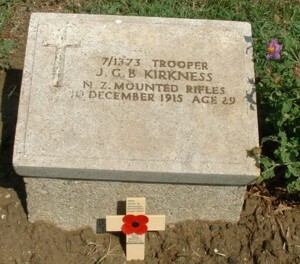 Son of William Robert Brass Kirkness and Jane Guthrie Kirkness, of Midhouse, Kirkness, Sandwick, Orkney, Scotland. The first photo was taken in Ashburton before John (who seemed to have been known as both Jack and Jock judging by the names on the back of the photos) left New Zealand. 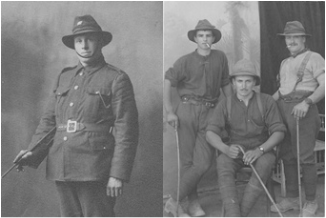 The second, which must have been taken sometime between Dec 1914 and April 1915, shows him (on the right) with two unnamed New Zealand mates at Cairo - they look like lads on an adventure. These photos would have been treasured photos at the time and still are now. John was the third child (of five children) of William Robert Brass Kirkness and Jane Guthrie and was born on the 6 March 1886 at Queenamoan, Scabra, Sandwick, Orkney. His mother died on 9 May 1891 when he was five. His father remarried soon after her death and fathered seven more children. In the 1901 Scottish Census, at age 15, John was recorded as a farmer's son living with his father, stepmother, his younger sister and three of his half siblings at the above address. John, following his older brother and wife, emigrated to New Zealand via London on The Athenic departing London in June 1905. 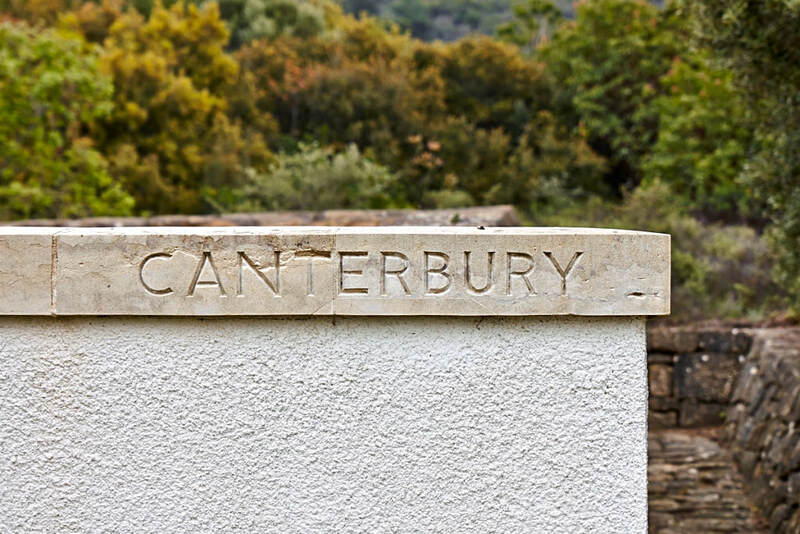 Before joining the Canterbury Mounted Rifles, he was recorded as living and working as a farmhand near Ashburton, Canterbury, New Zealand in 1911. He died of cholemia (bile or bile pigments in the blood) at 13th Casualty Clearing Station at Anzac on 10th December.